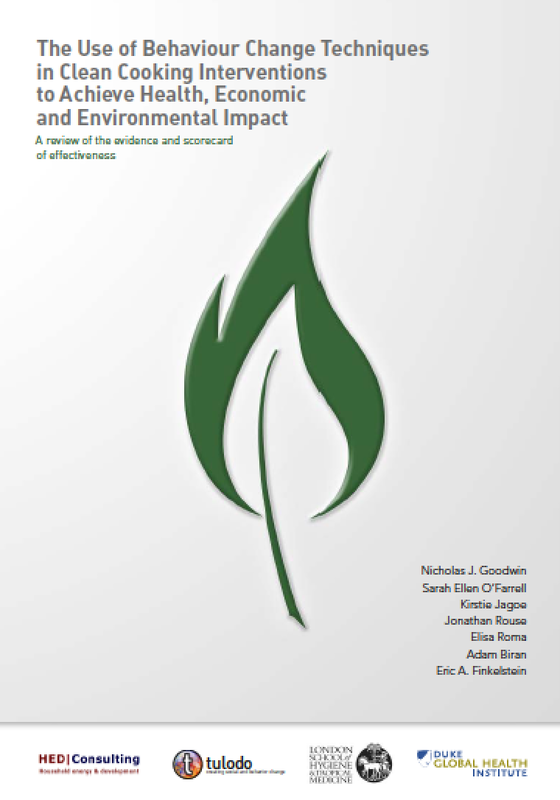 A new report (available below) from a team led by Tulodo’s Nick Goodwin has found promising evidence for the effectiveness of behaviour change approaches in clean cooking interventions. Despite decades of effort, around 2.8 billion people still rely on solid fuels to meet domestic energy needs. There is robust evidence this causes premature death, chronic disease as well as wider economic, social and environmental problems. There is a growing body of evidence that behaviour change interventions are effective to reduce harm from unsafe and dirty cooking practices such as household air pollution and loss of forests. The project reviewed the use and effectiveness of behaviour change approaches in cleaner cooking interventions in resource-poor settings. The authors synthesised evidence of the use of behaviour change techniques (BCTs), along the cleaner cooking value chain, to bring positive health, economic and environmental impacts and outcomes. 48 articles met the inclusion criteria, which documented 55 interventions carried out in 20 countries. A scorecard of behaviour change effectiveness was developed as part of deeper analysis of a selection of case study projects. Although behaviour change approaches have a strong track record, more application and evaluations are needed to establish stronger evidence for their use in cleaner cooking interventions.